Gov. Bruce Rauner will give the last annual budget address of his four-year term Wednesday. 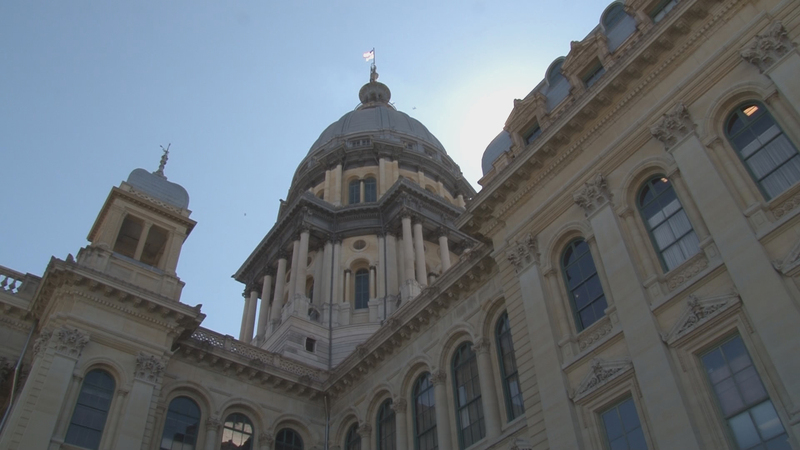 But facing the governor and lawmakers is the state’s unpaid bill backlog of $8.4 billion, according to Illinois Comptroller Susana Mendoza. Rauner’s budget director, Hans Zigmund, informed a Senate committee last week that there is also a $1.1 billion bill for “unappropriated liabilities” – money that was spent without an appropriation from lawmakers. So what will the governor propose to plug that $9.5 billion hole? It won’t be income tax increases. Rauner tweeted in January that he wants to roll back the income tax hike passed last year. Over the course of the two-year budget stalemate, the state racked up a backlog of bills that hit $16.67 billion. A budget finally passed last year after lawmakers overrode the governor’s veto in July. The Illinois constitution requires that the governor submit a balanced budget to the legislature. But the Pulitzer Prize-winning website Politifact has debunked Rauner’s claims that his past three budgets were balanced. Could there be another budget impasse in an election year? Here with their answers and to preview of the upcoming budget battle are: state Sen. Sue Rezin, a Republican from Peru, Illinois, who is the assistant Republican leader; state Rep. David Harris, a Republican from Arlington Heights; state Rep. Christian Mitchell, a Democrat from Chicago; and newly appointed state Sen. Elgie Sims, Jr., a Democrat from Chicago. Feb. 7: J.B. Pritzker apologizes for remarks he made on FBI wiretaps about black politicians. But will the apology undo the damage? We discuss the March 20 primary with political reporters Greg Hinz, Natasha Korecki and Laura Washington. Jan. 31: Gov. Bruce Rauner gives his election year State of the State speech, but Democrats – and even some Republicans – cast doubts on the sincerity of his message. Jan. 22: The Illinois primary is just eight weeks away. Will state lawmakers dodge controversial issues before the March 20 election?